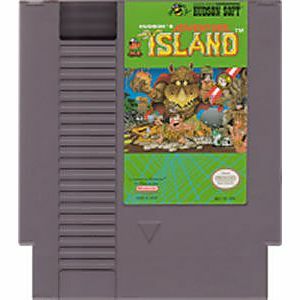 Adventure Island original NES Nintendo Game cartridge only - Cleaned Tested and Guaranteed to Work! Fun Game! Super fast shipping, game arrived in great condition and worked perfectly! Will definitely order from Lukie Games again!! An adventure of GREAT and DIFFICULT per-portions!! This adventure pisses me off everytime I play it but I LOVE it so!! I highly recommend it! 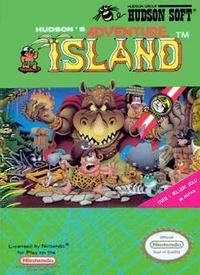 This was one of my favorite games when I was younger. It's a fun side scroller like mario and the bunch. But, it is because of this game and this game alone that I will NOT eat eggplant. It sounds weird, but it's true. Eggplant? No Thanks. 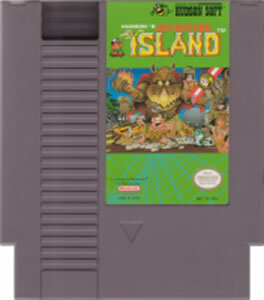 Adventure Island is a action/platforming game made by Hudson Soft. The game has a distinct style to it that is tough to describe. It is very fast paced, with great scenery and music. It has good controls (although somewhat loose) and is a good challenge. A must-own for any NES collector.